This entry was posted in 1916 Rising, Irish Women and tagged 1916 court martial, 1916 Rising, Alderman James Kelly, Captain John Bowen-Colthurst, Cathal Brugha Barracks, Easter Rising, Francis Sheehy Skeffington, Hannah Sheehy Skeffington, James Coade, Major Sir Francis Vane, Patrick McIntyre, Patrick Nolan, Portobello Barracks, Richard O’Carroll, Royal Irish Rifles, Thomas Dickson. Bookmark the permalink. 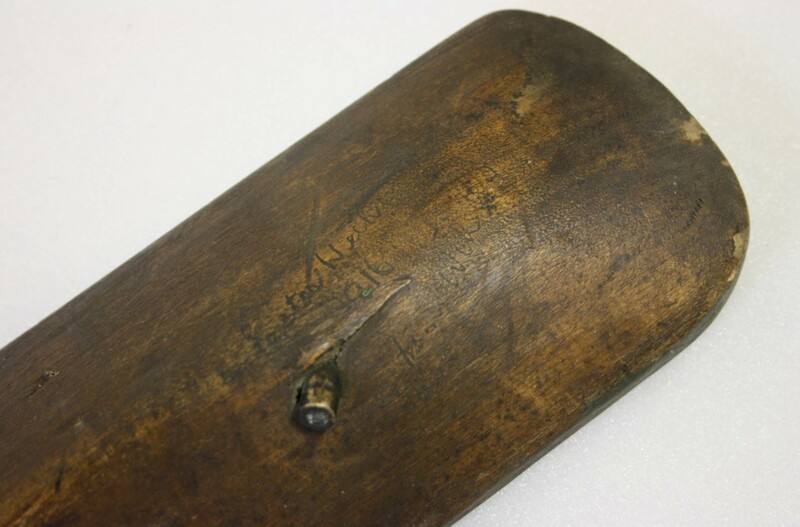 What a brilliant story on such an unusual item. 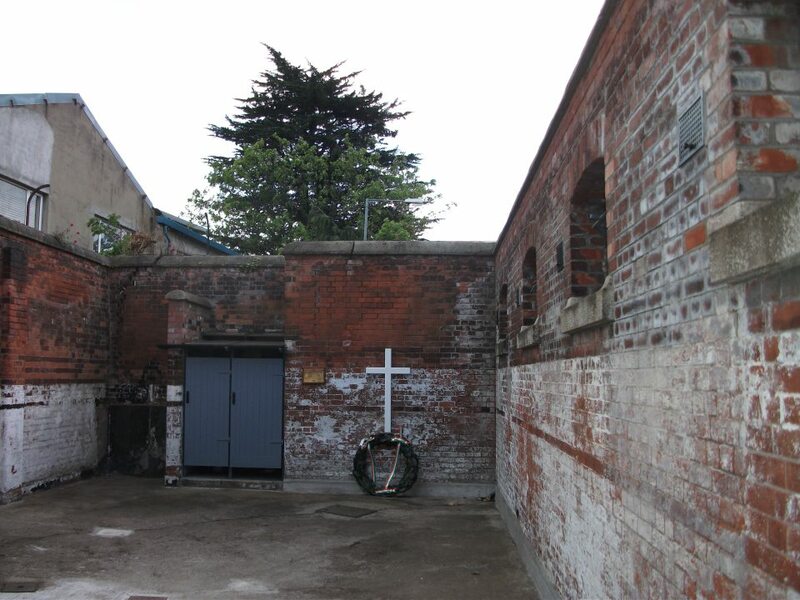 I am delighted to have found your blog online – I am currently working on an artistic project for Cathal Brugha Barracks that responds to the decade of centenaries and in particular any events related to the then ‘Portebello Barracks’. I am particularly interested in the emotional and more human stories behind the historical narrative and the story of ‘the brick’ is a real gem. I would love to see it – if possible? that letter to Hanna sheehy Skeffington is factual, I have the reply from her to my Grandfather Francis McL Scannell who was IRA Intelligence for General Michael Collins at the time, Lovely to see it published. Hi Frank – that’s amazing! Would you be able to tell me any more about your grandfather? And Hanna’s reply? It’s great to know his full name for a start! My Grandpa’s full name was Francis McLoughlan Scannell, I have Hannas Reply which I could scan,for all to read, but there is no facility here to do this. Would love to see them and learn a bit more – if you’d like to bring them in to Collins Barracks sometime you can contact me through the main museum number – 01 6777444, and ask for Brenda Malone! It would be great to for everyone to see these items and letters from Frank and hope Brenda can post them here soon. Yes I also am very interested to read these comments on this article as my great uncle Thomas Dickson was standing along side Francis Sheehy-Skeffington and Patrick Mcintyre on 26th April 1916 when they were murdered by Capt Bowen-Colthurst. In Sept this year we visited Dublin and went to Cathul Brugha Barracks Visitor Centre . A local historian from the barracks now believes the men were killed at another wall behind the exercise yard of the guardroom. This wall is now marked as number 11 on the walking tour of the barracks. We now find this puzzling as this doesn’t seem to match other evidence from witnesses at the Court Martial and Royal Commission.Also after looking at the photos of the brick it’s size and shape are intriguing. Thomas Dickson was my cousin, 3x removed, Hugh, I was just looking up your fathers info and found this. 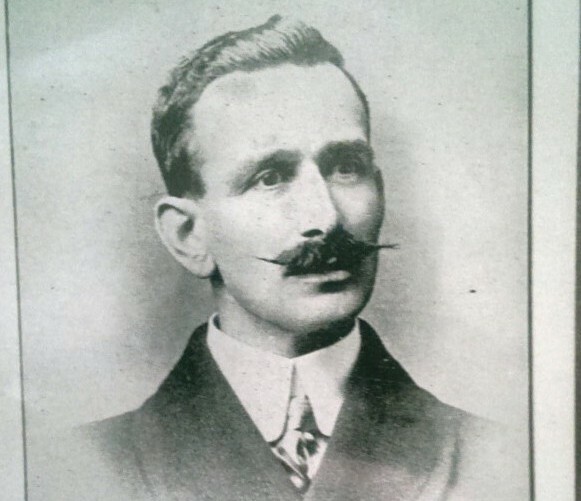 Samuel, father of Thomas killed in 1916, had a brother Thomas who,lived in Port Glasgow. I remember many years ago my Aunt Mary Dickson telling me about Thomas who was killed in Dublin and I’ve only just this past month made the connection. There’s more detail about Bowen-Colthurst in the 2015 biography “A Terrible Duty: the Madness of Bowen-Colthurst” by Bryan Bacon. (I was the editor of the book). This is a Kindle ebook, available from the Amazon site (amazon.co.uk I think for Ireland). Incidentally, you can read the first dozen or so pages on the amazon site to get an idea of the contents. Thanks again for the info on your book. We have purchased it through Amazon Australia, It looks to be a very interesting book and looking forward to reading it. Will be in touch with you when finished. Sorry for taking so long to get back to you in regards to your wonderful book you put together with Bryan Bacon ( A Terrable Duty). We so enjoyed reading and getting so much information on Captain Bowen-Colthurst and the events of that terrible time in 1916.
and other members of my own family about the book and have all expressed interest. 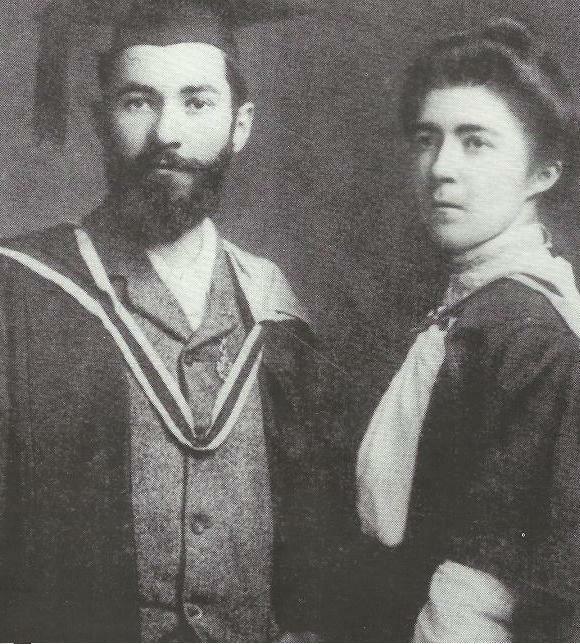 As we are also heading to Dublin in April for our own commemorative events we hope to be joining the O’Carroll family at a social/cultural event they have planned and members of the Sheehy-Skeffington family are also expected to attend. The aim is to gather as many family members together as possible that have fallen foul of Bowen- Colthurst. Although no contact has yet been found of the families of Patrick McIntyre or James Coades. Are you aware of any contacts for them? We are searching for a photo of Thomas Dickson, are you able to assist there also? Sorry for being a bit long winded on this blog, but I could not find any other way to contact you. I am so pleased you enjoyed the book and hope that it will fill in some of the historical gaps . Colthurst’s house in Naramata is now the site of the Howling Bluff Estate Winery, which has as it’s logo a canine howling (with a bottle in its paw). But I would guess it’s not a drawing of the poor dog shot in India but merely a happy, local coyote. I’m sorry I cannot help you with contacts for Patrick McIntyre, James Coade, or the lad who was shot (but who recovered?) around the same time that Councillor O’Carroll was shot. I hope you are able to connect with them. I would very much like to know something of Thomas Dickson’s life – the memory of Colthurst’s last cruel words to him stays with me. Thanks again for your contact. The book indeed filled in many historical gaps regarding Colhurst and my great Uncle Thomas. Thanks for the info. Have made request to IWM for doc. Are there any available documents on the court-martial? I have a great-uncle who was with the 3rd battalion of the Royal Irish Rifles between late 1915 and mid 1916 and I’d be very interested to know what his involvement might have been. Perhaps the Kew archives would have some information? My understanding is that the trial record was “withdrawn from the public domain”. However, Sean Enright’s new book “After the Rising” will cover the court martial and may indeed use recently released transcipts. James Taylor’s forthcoming (June) title “Guilty but Insane” will also be of great interest. In the meantime, Bryan Bacon’s ebook “A Terrible Duty” discusses the trial . His account is based on The Irish Times, The Irish Independent, and The Times for June 7/8, 1916. I think the Kew documents are: PRO 35/67/1 and PRO WO 374/14934. There’s about a foot of documents there. Good luck with the search on your great uncle. I’d be interested in your findings. Thank you very much Jonathan. I’m planning a trip to London this Summer, so I’ll certainly try to get through some of those documents. I’m wary of what I might find, but curiosity has got the better of me! Thanks Jonathan – the document reference numbers you gave me were very useful for my visit. Just for future reference, WO 374/14934 contained a lot of personal correspondence from Captain Bowen-Colthurst, who still seemed somewhat irrational and excitable long after his court-martial, repeatedly referring to his accuser Major-General Bird as ‘Judas’. The larger file, WO 35/67/1 (sealed for 29 years after the events), contained a lot of documentation concerning the North King Street Massacre and the execution of the rebel leaders. The files relating to Bowen-Colthurst cover the preparations and aftermath of his court-martial at Richmond Barracks. This inquiry only sought the testimony of seven officers, including Major Rosborough, Lt. Morgan, Lt. Dobbin and Sgt. Maxwell of the 3rd Battalion Royal Irish Rifles, Sgt. John Aldridge and Lt. Wilson of the Royal Dublin Fusiliers and Lt. Morris of the East Surrey Regiment (who had originally arrested Francis Sheehy-Skeffington and taken him to Portobello Barracks). Sgt. 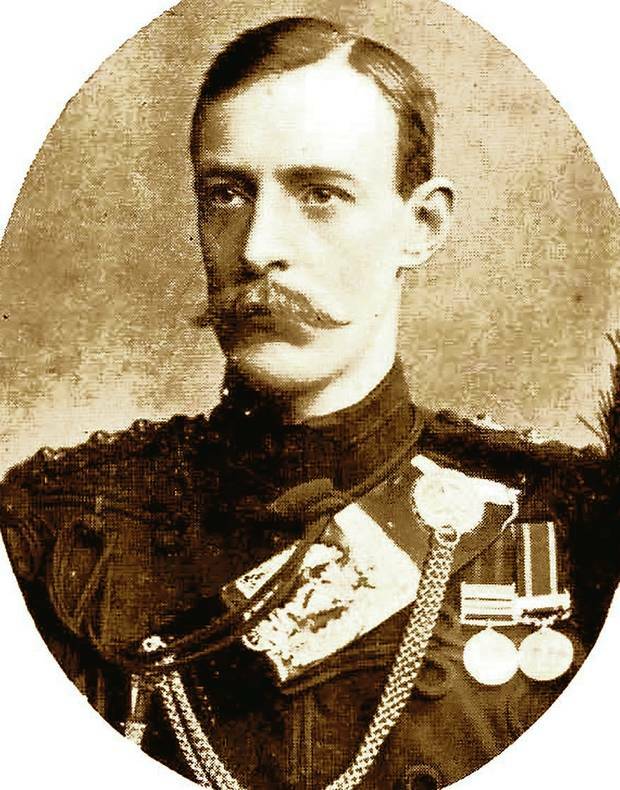 Aldridge was commanding the guard at Portobello Barracks on the morning when Captain Bowen-Colthurst ordered the three civilian prisoners into the yard and seven members of Aldridge’s guard to form a firing squad. The names of the rank-and-file soldiers involved are not listed here although solicitor Henry Lemass, acting on behalf of Hanna Sheehy-Skeffington, had requested the names of the firing squad, the arresting officers, the search party, etc. However, the guard duty rosters from these few days are included, listing the soldiers on guard duty and the prisoners they held (generally drunk/AWOL soldiers, but joined on this occasion by the three civilian prisoners). I’m assuming the firing squad were drawn from the guards on duty that day, which didn’t include my great-uncle but did include other members of the 3rd Battalion RIR (among other regiments). It’s noted that there were about 150 armed soldiers at Portobello Barracks, more soldiers unarmed, and many civilians seeking refuge from the rebel-held surrounding streets. Some interesting correspondence from this file relates that Dickson and McIntyre were arrested for associating with Alderman James Kelly, a constitutional nationalist whom the soldiers had confused with Alderman Tom Kelly of Sinn Fein. Attempting to justify the execution, an Alexander Blackadder reported seeing Padraig Pearse and ‘a 50-year-old German’ frequenting Sheehy-Skeffington’s house, while an ‘eccentric’ artist named McConnell claimed that he saw Sheehy-Skeffington in command of a rebel group which broke through his home on O’Connell Street. All in all, while I didn’t locate any reference to my great-uncle, this was a fascinating bundle of papers. Thank you Neil for this interesting information, especially who the prisoners were and the reason for Dickson’s and McIntyre’s arrest. Did you by any chance come across a transcript of the court martial? No, I didn’t see any transcript, just the invitations to the seven officers to attend and various other legal notices concerning the court martial. ‘Guilty but Insane: J.C. Bowen-Colthurst: Villain or Victim’ will be released by Mercier Press on 3 June 2016 and corrects many published errors about the entire episode. It includes his court martial, together with extracts from his Military, Home Office and Pension files. 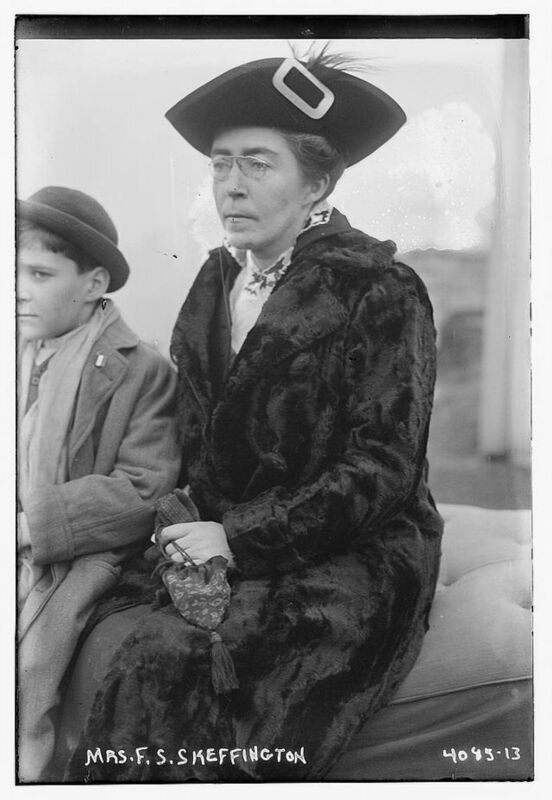 I had the assistance of members of the Sheehy Skeffington family and a daughter of Bowen-Colthurst who gave me access to his personal papers. There is a photo of Thomas Dickson in Kilmainham Gaol Archives. At page 103 is the report of the Royal Commission. A lot of the rest seems to relate to Bowen-Colhurst’s irrational conduct in later years. This may be old news, but anyone interested might want to take a one-month subscription at FMP in order to access and download the images in the file.